According to SFMTA’s new State of Cycling report, in the years between 2002 and 2010 the number of people biking to work in San Francisco has surged 66%. Biking is very fashionable right now, there is no denying that cycling does a lot to bolster the city’s eco-friendly reputation. San Francisco is still not the safest city for bike commuters, though, but activist groups, most notably the SF Bicycle Coalition, are working hard to improve the situation. This Saturday you will get a chance to help the coalition while having a whole lot of fun. Golden Gate Park will host an bike-friendly and kid-friendly festival called Tour de Fat, organized by the Colorado-based New Belgium Brewery. 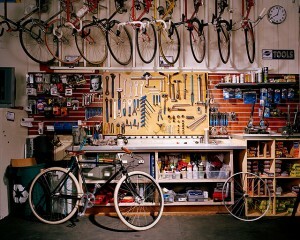 San Francisco’s Citizen Chain Cyclery. There will be a costumed bicycle parade, registration for which starts at 10 am. The ride, just like the rest of the event, is completely free, but a $5 donation is encouraged. All that money, as well as proceeds from the sale of beer and merch, will go to support the Bike Coalition as well as another worthy organization, the Bay Area Ridge Trail Council. Festival attendees will also be treated by various performances: a “bike circus” with jumping acts and live music courtesy of Los Amigos Invisibles (disco, funk and acid jazz) and He’s My Brother, She’s My Sister (indie rock). One important thing about Tour de Fat is that it is an honest to goodness “green” event: last year the 6,500 attendees generated only 12 pounds of trash (in comparison: compost reached 300 pounds, and recyclables, 75 pounds). In addition, the festival is solar/b100 biodiesel-fueled. The organizers are also promoting car-free living by giving away a prize of $2,250 to one lucky “Car/Bike Trade” participant who decides to renounce their car for a bicycle. Dogs are not allowed at the festival, nor is bringing your own alcohol. The event should wrap up by 5 pm. 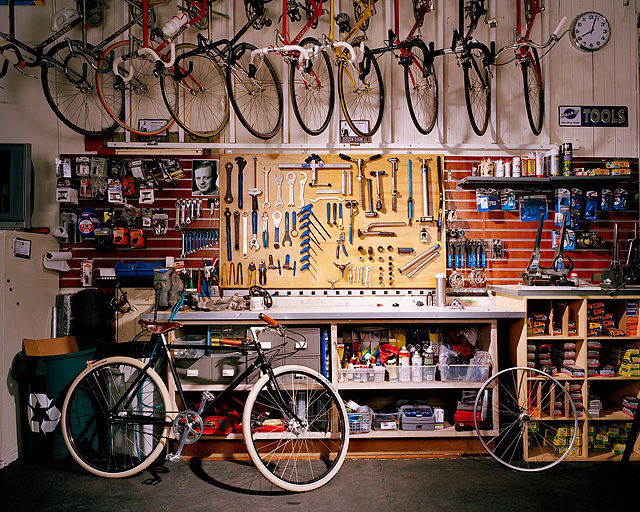 If you are a bike lover & supporter of local business then check out Citizen Chain Cyclery, a rad locally owned bike shop in the North Beach neighborhood complete with vintage bikes, new bikes, and a sweet staff. They even have a cute shop dog to pet. Check out this gem of a store and say “Hi”, to Sasha, Dallas & Niko. The address is 2064 Powell Street, San Francisco, CA 94133. (415) 796-2925. And finally, since it’s my first bike-themed post here, I can’t resist sharing my favorite “BICYCLE” video! Have a great weekend!